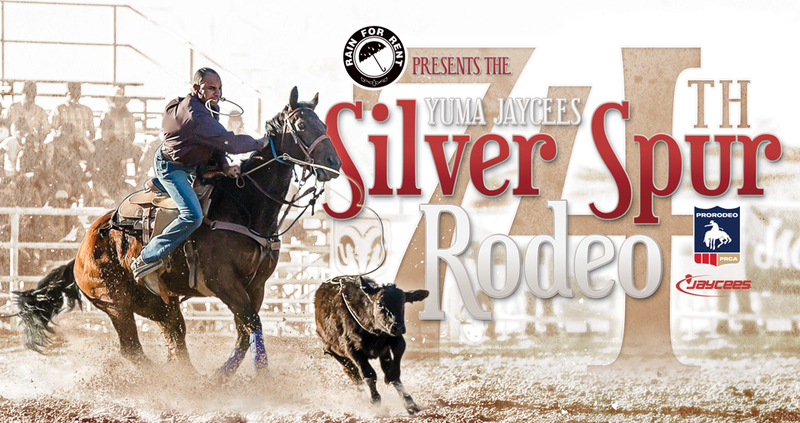 Yuma Jaycees Silver Spur Rodeo | Yuma's Best Professional Sports Event! The 74th Annual Yuma Jaycees’ Silver Spur Rodeo presented by Rain for Rent will take place February 8-10 2019, featuring the Motocross vs Barrels event. Watch as rodeo meets extreme sporting as motocross enthusiast compete in this thrilling event. Since 1981 Chrysler Corporation and Ram have been bringing you the best in Rodeo. Coors was born in the Rockies and has been a proud part of the American experience for generations. Montana Silversmiths has more than 35 years experience leading the western buckle and jewelry industry. Justin Boots, authentic, hand crafted cowboy boots since 1879. The world’s largest western & work wear retailer with 155 stores in 24 states and over 100,000 styles, colors and sizes. Do what you love when you want to do it at Quechan Casino Resort! The Cocopah Indian Tribe have lived along the lower Colorado River and delta for centuries. They are your Imaginary Friends; working behind the scenes for your business. Silver Spur Rodeo, Inc. and Yuma Jaycees, Inc. are in their 74th year promoting a PRCA sanctioned rodeo. The Silver Spur Rodeo supports the youth and many charities in the community of Yuma AZ. Held the 2nd weekend of February since 1946, the Rodeo is the culminating event of many other events including but not limited to the Lois and Charlie Worthen Memorial Old Time Fiddlers Contest. “Our Committee begins working on the rodeo in June of each year with all the hard work paying off the following February. We hope you enjoy the rodeo and thank you for your support over the last 74 years! !